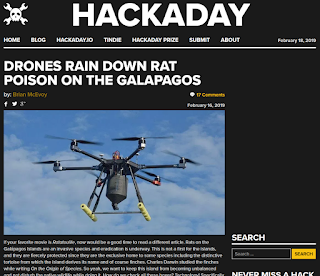 I was surprised at how many people were willing to have a reasonable discussion about poisoning rats with the help of drones as the delivery vector. I assumed people would have the knee-jerk reaction of defending the rats so I made my first sentence, "If your favorite movie is Ratatouille, now would be a good time to read a different article." 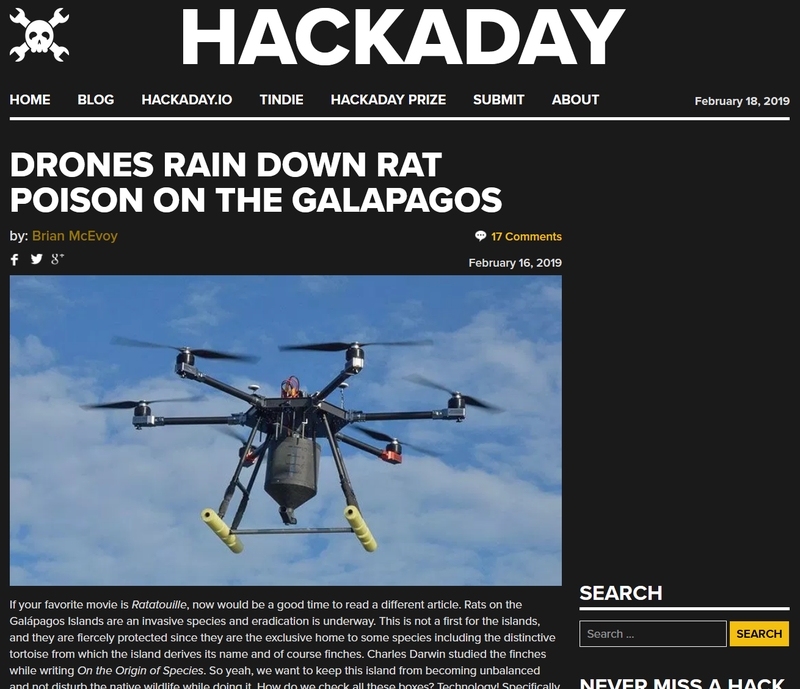 The rest of the article was about how drones were implemented to drop rat poison across the Galapagos Islands where rats have become a dangerous invasive species.